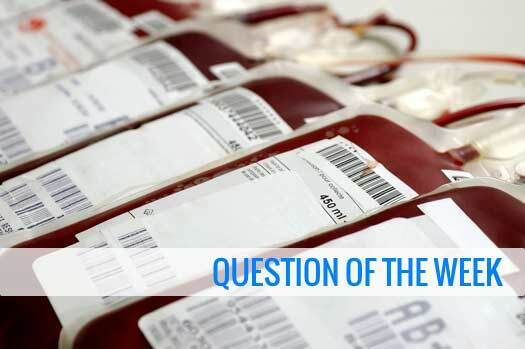 Why Do Patients Donate Blood Before Their Own Surgery? Should I Donate My Own Blood Before Spine Surgery? All surgeries involve some amount of blood loss, and the average amount lost varies depending on the type of procedure that is performed. Patients who undergo minimally invasive spine operations tend to lose very little blood, and individuals who have major surgeries, like joint replacements, may experience greater blood loss. If you are planning on undergoing spine surgery in Santa Monica, you may be considering autologous blood donation, or banking your own blood before an operation so that it can be used if needed. A few factors should be considered before deciding on self-donation. Many patients consider banking their own blood before surgery in order to ensure that they do not receive a transfusion that is tainted with diseases such as hepatitis and/or HIV. With the advent of advanced screening and testing, the risks of contracting a blood-borne illness from donor blood is very rare, but it is still a possibility. Autologous donations also help prevent allergic reactions that occasionally occur from donated blood products. People who have received several transfusions in the past are more likely to have developed antibodies to donor blood and, therefore, experience allergic reactions. Patients who are healthy and who are planning an operation that will likely result in significant blood loss can generally bank their own blood. People who already have low blood counts, heart disease or other medical conditions will not be able to store their own blood. Blood cannot be stored indefinitely, and autologous donations must be made three to five weeks prior to surgery in order to ensure that the blood is fresh. Sometimes, patients’ bodies do not have enough time to rebuild the lost blood for surgery, which makes them more likely to have a transfusion that they may not have needed. In short, banking blood before an operation may leave patients less fortified for their procedures. For more information about an upcoming spinal surgery or to get a second opinion about your condition and treatment options, reach out to The Spine Institute Center for Spinal Restoration and schedule an in-person consultation with Dr. Hyun Bae, MD. Specializing in minimally invasive and motion-preserving spine surgeries, you can rest assured that he will help you find the most appropriate treatment for your needs. Call 310-828-7757 today.